Campaign 13 is inviting us to come out and play. Which sounds pretty good right now since the weather decided to get cold yet again. Unfortunately, along with the beautiful weather and longer days comes, bugs….little ones, biting ones, etc. But there is an answer! 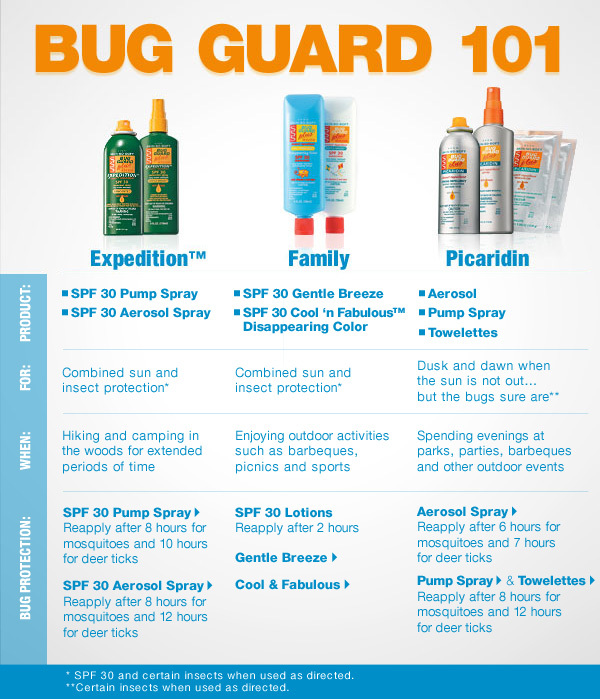 I have included the Bug Guard 101 chart below to help you. Basically it goes like this: Use Expedition in either pump or aerosol spray during the daylight hours since it contains an SPF30. Use Picaridin for low or no sun times as it does not contain an SPF. For lotion forms use Gentle Breeze (awesome non-bug spray smell) or Cool & Fabulous (turns blue then disappears as you rub it in) for putting on children – both have SPF30. All the Picaridin family also has towelettes. These are awesome for carrying with you in a purse or bag. That way if you find yourself somewhere unexpected (ball game, outdoor venue, etc) you will have a backup plan. Also if you are working outside, after you use the towelette on your skin for bug protection, stick it in your sock. Just a little more protection from the bugs in the grass (until the towelette dries). The other good thing is that they’re on SALE! I’ve listed some of the best deals below. 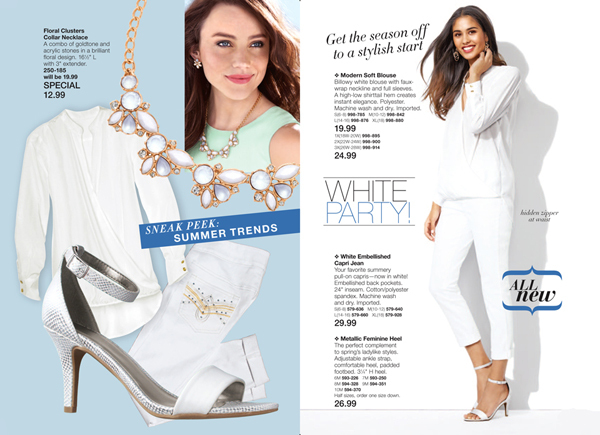 STOCK UP ALERT! Great Prices for Stocking Up for the Warm Weather. 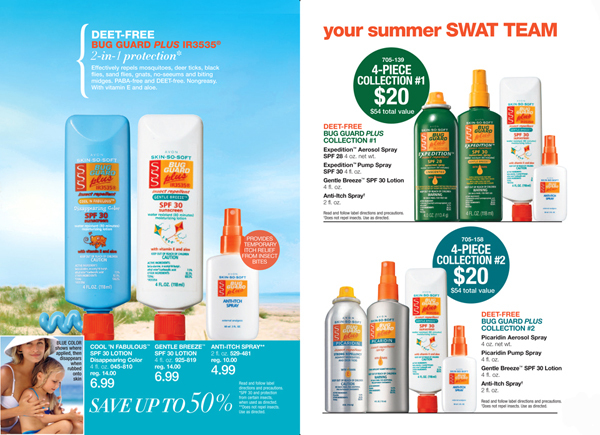 Also check out the Skin So Soft Bug Guard Plus Collections for additional savings! I personally love the sneakers for Spring. 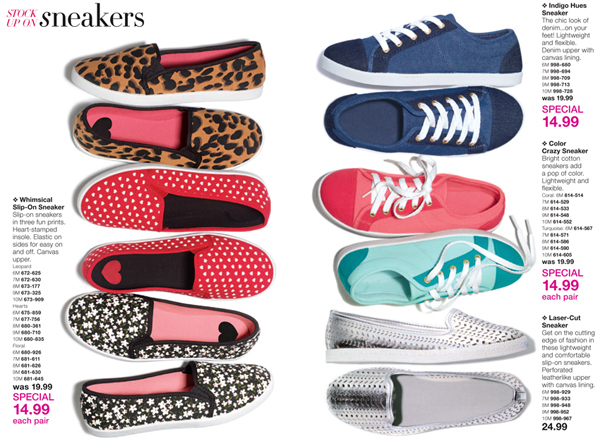 Greats specials on all the sneakers, all Only $14.99 each except the Laser-cut Sneaker which is $24.99. 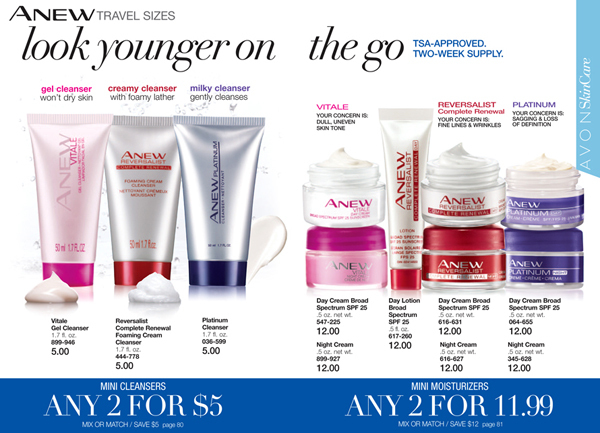 Great STOCK UP Opportunity on the Anew Travel Sizes. Great to take on vacation. Cleansers are any 2 for $5 and the moisturizers are any 2 for $11.99, Hurry and take advantage of this great offer. One last thing. 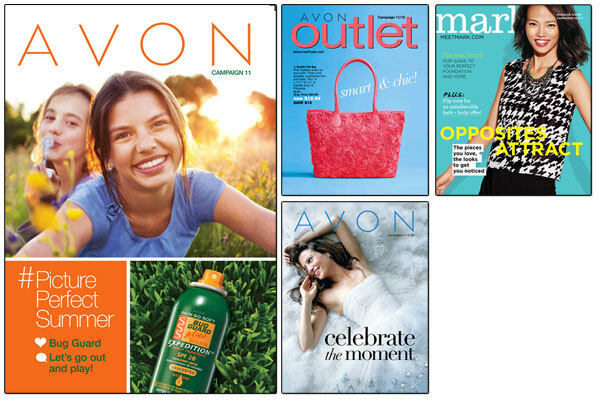 If you love your Avon Skin So Soft Bath Oil for Summer – It’s here. The 16.9 oz size is On Sale for $6.99. This is our lowest price ever! And the Skin So Soft Glow is on special for $7.99. Just in time to help you get a gradual glow for that sun-kissed look.